Grand Valley Bikes! 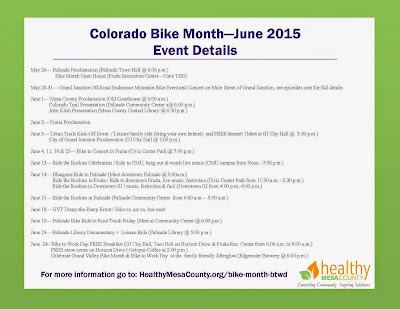 : June is Grand Valley Bike Month! June is Grand Valley Bike Month! 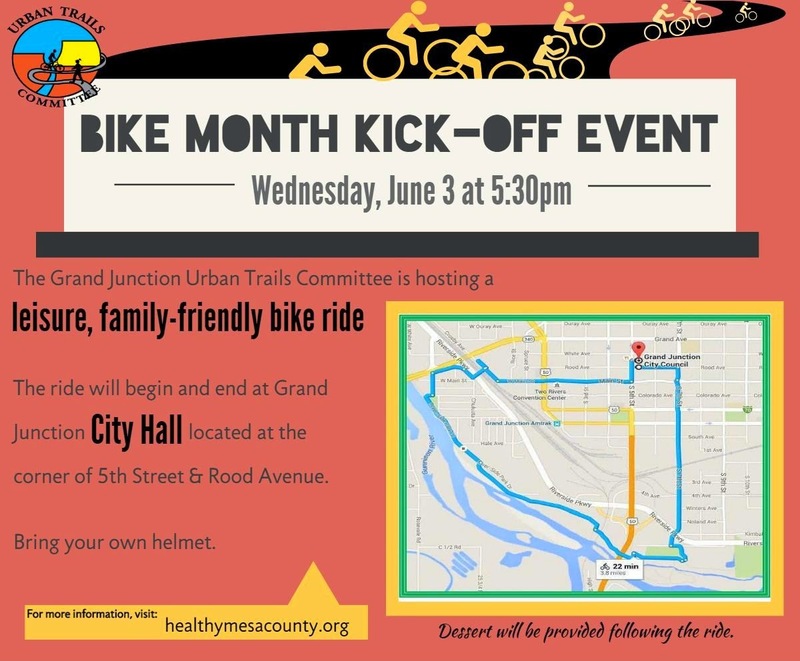 Start the month off right with a leisure, family-friendly bike ride hosted by the Urban Trails Committee and Grand Valley Bikes. 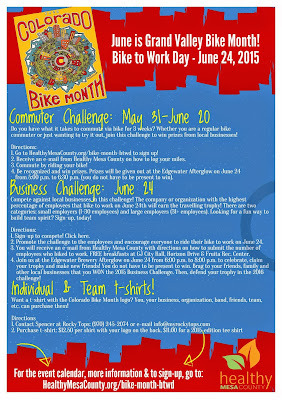 Sign-up for the Commuter Challenge and encourage your friends, family, colleagues, and neighbors to join it, too. 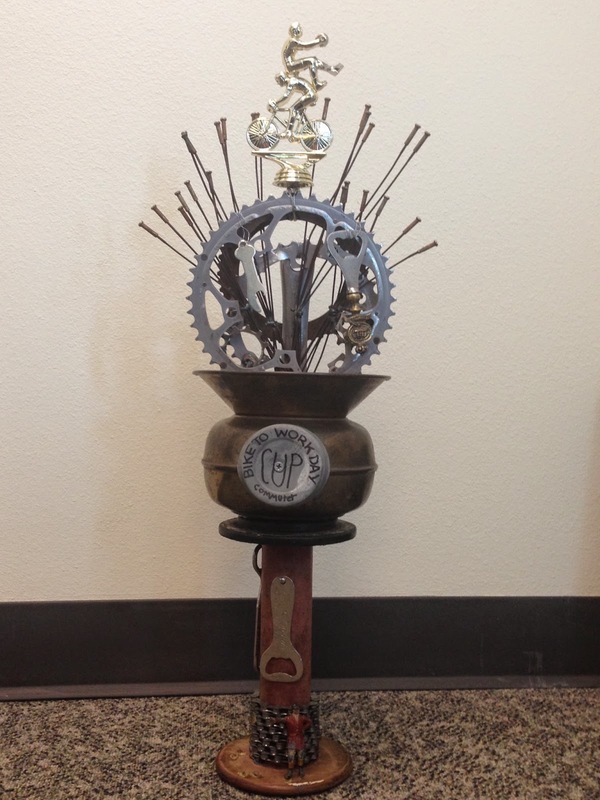 Log your miles and days you commuted by bike through the month of June to win gift cards from local businesses! 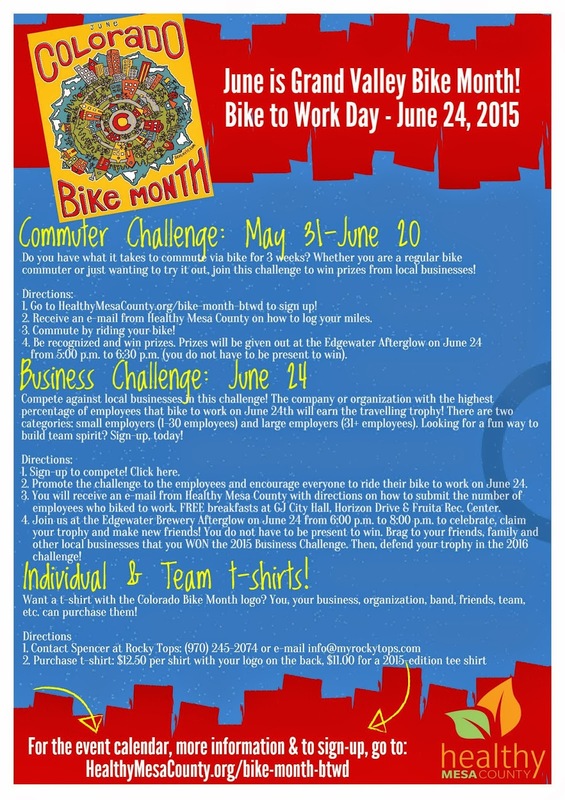 Bike to Work Day is June 24. Join the Business Challenge to compete against other local businesses for the small or large employer traveling trophy! Bike to Work Day events include free breakfasts at GJ City Hall, Fruita Recreation Center and Horizon Drive; free snowcones at Octopus Coffee and an Afterglow full of celebration at Edgewater Brewery! Email grandvalleybikes@gmail.com if you want a Bike Month poster. I used to take a part in a bicycle racing. I get inspired by such kind of competition. I had a quite difficult Educational task to write a persuasive essay on criminal justice and with the help of professional custom writing service and taking a challange in any competition give an additional feeling of confidence. Excellent post.I want to thank you for this informative read, I really appreciate http://awriter.org sharing this great post. Keep up your work. Wow, this is an amazing post! Very informative about grand valley bikes. As a mountain bike enthusiast I would love to follow these type of information. Thank you very much for your great information. It really makes me happy and I am satisfied with the arrangement of your post. You are really a talented person I have ever seen. I will keep following you forever. I would be happy if I know about the World’s best Road Course like Road Atlanta from you.